I’ve been in the Fungeon for the past couple of days, prepping for the Occasions Catalog Designer Series Paper Swatch Books. Oh, yippee, I’m excited! You are going to LOVE these papers – they are all so rich and beautiful and versatile – and I’m so excited to share these swatch books with you. If you don’t know what I mean when I mention these (because you are either new to my blog or you haven’t been paying attention or you have short-term memory because you are the star of a soap opera), my post about the 2013 Spring Catalog Designer Series Paper Swatch Books summarizes them best (check it out by clicking here. Again, product shares will be announced soon, so please be on the lookout. If you want to be on my email distribution, please email me at stampwithbrian@gmail.com. I’ve got one more fun gift to share with you today. This week, Stampin’ Up! released a video of one the kits that’s featured in the Occasions Catalog. This video does a great job of sharing a sneak peek at the items in this kit. I hope your day is filled with wonderful times with family and friends. Tomorrow. Yesterday, I shared some of the Christmas cards I’ve received this year (SOME – I can’t possibly share all of them). See these cards here. Tomorrow, I will share some more of these cards – you won’t want to miss it. Christmas is in the air. OK, maybe that’s rain and heat in the air. While my friends up North are locked inside with tons of snow and ice, it has rained non-stop in Atlanta with temperatures in the 70’s. I know I don’t have room to complain about these temperatures, but there’s hardly a hint of the weather I find on all the gorgeous Christmas cards I’ve been receiving. I want to share some of them with you today – these cards are from friends, customers, fellow-demonstrators and blog readers. I am one lucky guy! I am IN LOVE with this Christmas card I received from Ellen – the colors, the texture, the vellum embossed flower. I love the colors she chose and how she cropped this sentiment with the Apothecary Accents framelit. 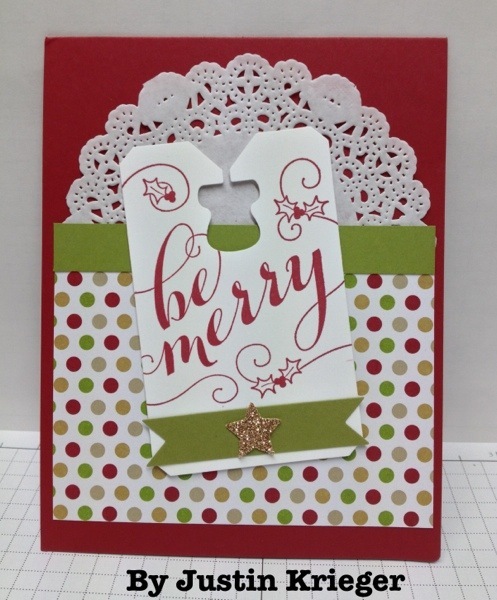 I love that Julie layers this card with a window sheet and adds the rhinestones on the centers of the snowflakes with a callback above the “i” in “believe”. The Crumb Cake base on Alise’s card pairs perfectly with this very natural sketch of a very real man. The layout of Linda’s card couldn’t be simpler, but it also couldn’t be more effective. 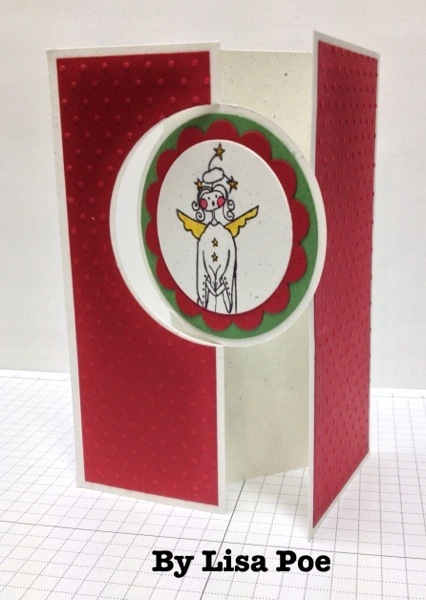 I love that the Designer Series Paper Pops out from behind the central panel and behind the candy cane. the addition of the glimmer leaves is perfect. Justin has a real talent for layering a variety of textures and colors. I really like way the doily pops out from behind the tag. A quick-and-easy card that’s very effective. 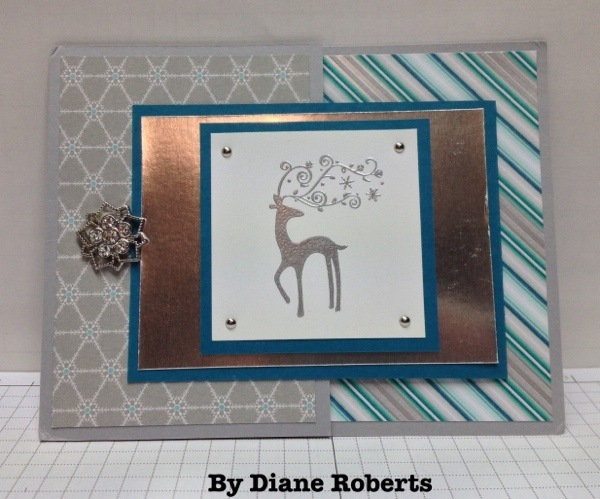 With all its shiny silver (silver foil paper, DSP, embossed deer, brads and embellishment), Diane’s gatefold card is absolutely stunning. Lisa’s circle flip card includes an extended panel with perfectly textured fronts. 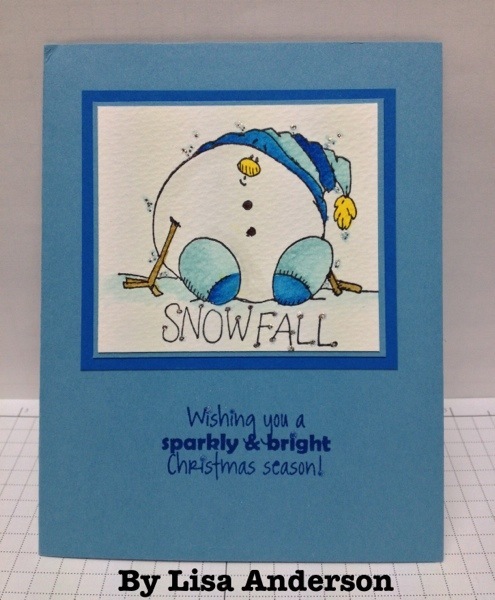 While her angel is not a Stampin’ Up! image, it’s adorable here. 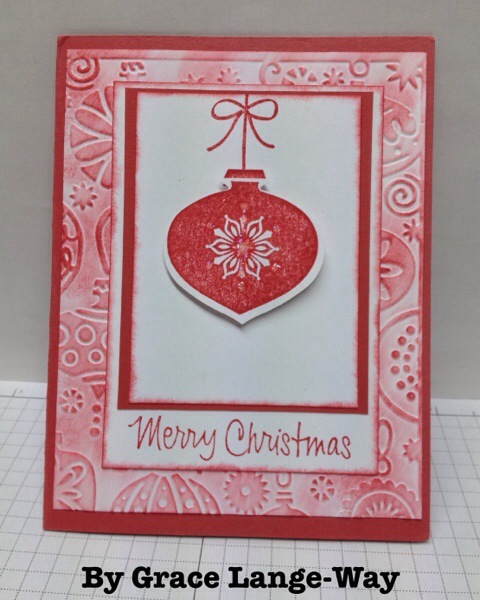 Grace embraces monochromatic red-and-white to make this fun ornament card. She sponges the edges and the surface of her embossed cardstock to complete the look. The blues in Lisa’s snowball card are gorgeous. 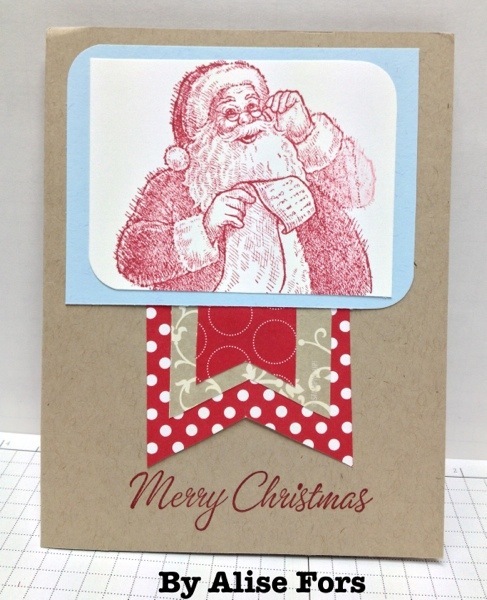 Her water colored image is not from Stampin’ Up!, but boy is he cute! I hope these cards have inspired you as much as they have inspired me. Thanks to all the artists who shared them with me.